Probably the best know festival, Þjóðhátíð, takes place in Vestmannaeyjar islands. It will be held this year for the 144th time. The line-up of musicians includes Páll Óskar, JóiPé og Króli, as well as Írafár og Jóhanna Guðrún, just to name a few. 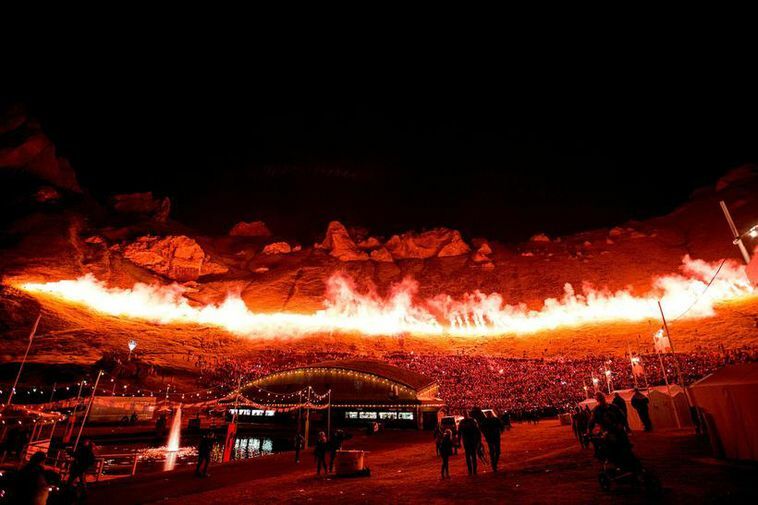 The festival is known for its big bonfire, fireworks and public singing on the hill. Innipúkinn Festival will be held in Reykjavík at the bars Húrra and Gaukurinn. It is intended for those who decide not to travel during the weekend, and the name roughly translates as ‘the couch potato.‘ Musicians at the festival include Aron Can, Mugison, Svala and more. In addition, a street festival in front of the venues is planned. 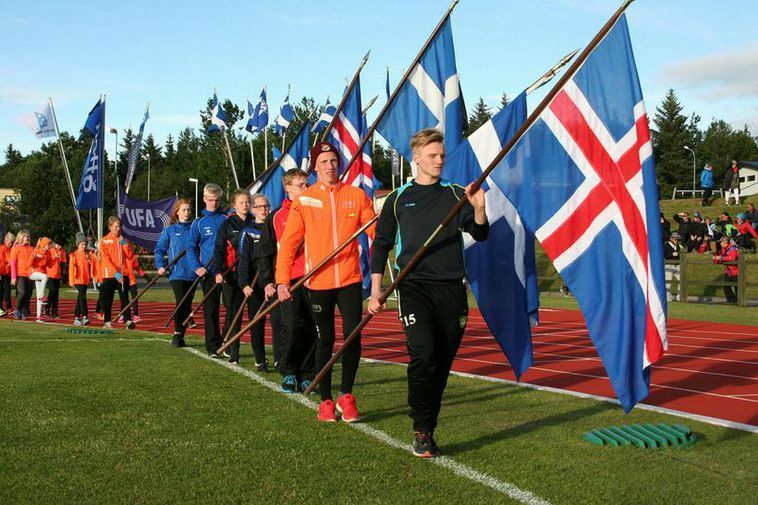 In Akureyri, there will be the Iceland Summer Games and Ein með öllu. There will be music, dance, athletic events, an amusement park, an inflatable castle and more. One of the races involves running up the church steps, which are many, for Akureyri Church stands on a high hill. 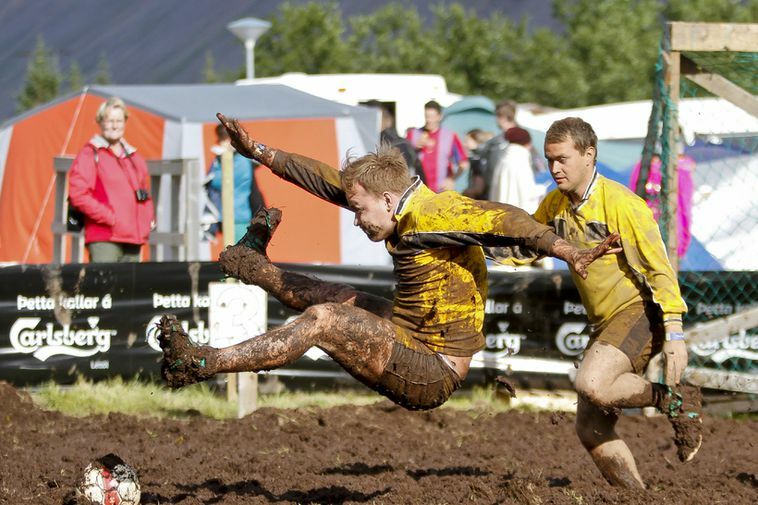 In Bolungarvík, the West Fjords, the European Championship in Swamp Soccer (Mýrarbolti) will be held. Teams, as well as individuals, are welcome to register. There will be a dance Saturday night, where Daði Freyr entertains, and JóiPé and Króli show up on Sunday. Neistaflug will be held in Neskaupstaður, the East Fjords, starting Wednesday. This is a family-friendly festival with a golf tournament and a box car rally, to name just a couple. Musicians include Stuðmenn, Dúndurfréttir, as well as Logi Pedro and Birnir, and many more. Flúðir um versló will be held at Flúðir, South Iceland, starting with a performance by KK-bandið on Thursday. Sunday night, children will sing on the hill. There will be acting, as well as a funny boat contest. In Vatnaskógur woods, West Iceland, YMCA and YWCA in Iceland plan a drug- and alcohol-free festival. You can row on a boat, play soccer, or participate in a talent show. In Þorlákshöfn, South Iceland, there will be a National Youth Contest, a sports and family festival without alcohol or drugs. There will be contests in a number of sports, and musicians, such as Flóni and Emmsjé Gauti will entertain. The Fíladelfía Church will have a festival, Kotmót, in Kirkjulækjarkot, Hvolsvöllur, South Iceland. Norðanpaunk, a punk festival, will be held in Laugarbakki, Northwest Iceland, where more than 40 musicians and bands are expected. Please note, that at many of the festivals, age restrictions apply, and admission fees vary.